This Saturday (April 8th) the 32nd Telekom Vivicittá charity run will be organized for the cause of helping people living with autism. 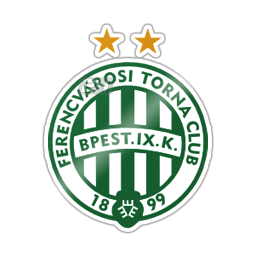 The noble purpose is supported by Ferencvárosi Torna Club, and many Ferencváros-related athletes participate in the run as well. For instance Vanda Juhász Hungarian champion and Olympic participant javelin thrower, Pál Bedák World Cup silver medalist boxer, Balázs Simonyi ultra-runner, and our club’s former footballer and current assistant director in the youth development department, Krisztián Lisztes will run together with the crowd. 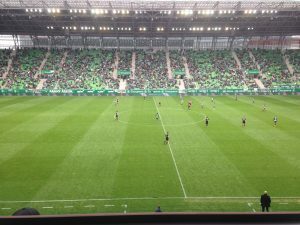 With this activity Ferencváros show its participation in the #MoreThanFootball campaign. We aim to present that we are more than a sports club, and that we have an active role in forming the community and taking social responsibility. The project supported by the EFDN (European Football for Development Network) and the UEFA Foundation was called to existence to present and promote the corporate social responsibility projects of European football clubs. Its aim is to reach as many people as possible during the campaign week with these noble activities and programs. During the next days our readers can learn more about #MoreThanFootball and watch videos highlighting the activities of our club. The campaign is available on the club social channels.